His Kids Are Texting Over Dinner. The Father's Reaction? PRICELESS! 'Pass The Salt' is an amazing short film by Matthew Abeler, a student in electronic Media Communication at the University of Northwestern. It is a video “about technology and relationships” as Matthew himself comments on YouTube. It certainly points out the alienation that social media has inflicted among people. Physical social skills have been substituted by texting and indirect communication. Being humorous and poignant at the same time, the short story depicts a typical family dinner with which most of us can surely identify. 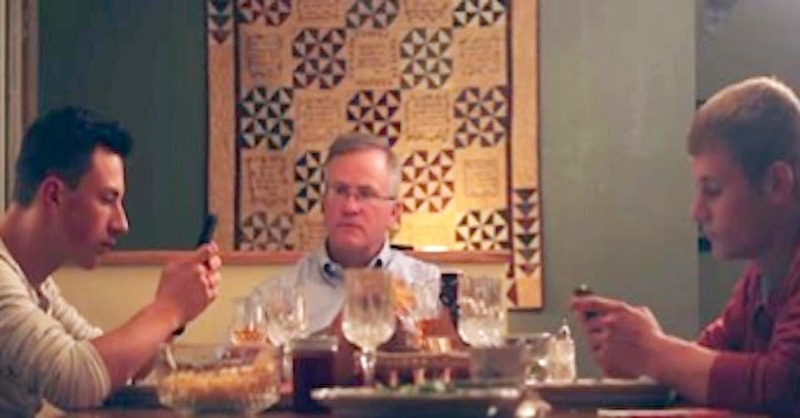 While the two sons are busy looking at their cell phones, their parents are worried for not being able to truly communicate with their kids. Instead of scolding them for being absent, their father comes up with a brilliant idea which directly expresses the abnormality that is imposed on life by the social media mania and the abuse of the smart-phone technology. Let us know your opinion about it. If you agree, help us spread its message by SHARING it with your friends and family! "I made a short film called 'Pass the Salt' last year. It jumped from 3,000 views to 33,000 on YouTube in a week. I'm not quite sure how that happened, but I'm just thankful for the people who helped me make it and that audiences are enjoying the message."